The Senate Transportation Committee has approved a bill that would raise the state gas tax by ten cents a gallon. “We all know there is a huge problem regarding our transportation infrastructure,” according to Senator Tod Bowman, a Democrat from Maquoketa, is the panel’s chairman. 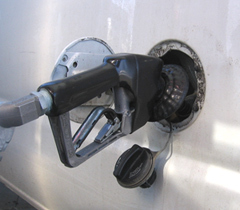 The 10-cents-per-gallon tax would not only apply to gasoline and diesel fuel, it would apply to non-traditional fuels like liquified and compressed natural gas. The Senate Transportation Committee reviewed the details of the final version of their bill for about 10 minutes before the measure passed out of committee on a 9-3 vote. Similar legislation is pending in the House Transportation Committee.